Our Board of Advisors is made of artistic activists we’ve worked with and whose work inspires us. We rely upon them as a sounding board for our programs and projects. Meet them here. 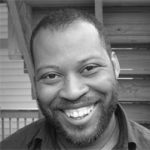 Kenneth Bailey started the Design Studio for Social Intervention (ds4si) in 2007 thanks to the support of Stone Circles Fellows and MIT Department of Urban Planning Community Fellows Program. Since its inception, ds4si has helped frame the need for design thinking and artistic research and development within the social justice sector. Ds4si currently works with large coalitions of social justice organizations like Praxis Project’s Communities Creating Healthy Environments (CCHE) and Project South’s Southern Movement Alliance which a cohort of organizing groups in the south. The most recent publication Kenneth participated in producing for ds4si is Spatial Justice: A Frame for Reclaiming our Rights To Be, Thrive Express and Connect. Prior to starting ds4si, Kenneth worked at Third Sector New England developing and testing knowledge management processes. While at Third Sector New England, he published Brave Leadership and Organizational Conflict. Named one of the “world’s ten most influential intellectuals” by MIT, Douglas Rushkoff is an author and documentarian who studies human autonomy in a digital age. 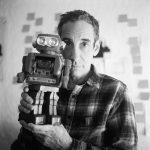 Rushkoff’s work explores how different technological environments change our relationship to narrative, money, power, and one another. He coined such concepts as “viral media,” “screenagers,” and social currency,” and has been a leading voice for applying digital media toward social and economic justice. He is a research fellow of the Institute for the Future and founder of the Laboratory for Digital Humanism at CUNY/Queens, where he is a Professor of Media Theory and Digital Economics. His book Coercion won the Marshall McLuhan Award, and the Media Ecology Association honored him with the first Neil Postman Award for Career Achievement in Public Intellectual Activity. Marisa is a New York-based writer who has covered culture and politics in cities that include Casablanca, Kabul, Port-au-Prince and Istanbul. Her work has been featured in several publications, such as the Wall Street Journal, Financial Times, Time, Vogue and the New York Times. In addition to her writing, she ran a U.S. State Department-sponsored program in Casablanca that taught journalism and blogging to marginalized youth. Marisa was the founding editor of Creative Times Reports, a website from the public art non-profit Creative Time, which co-published artists’ work with The Guardian, Al Jazeera America, Foreign Policy, The New Yorker, Slate, Salon, The Intercept, and many more. 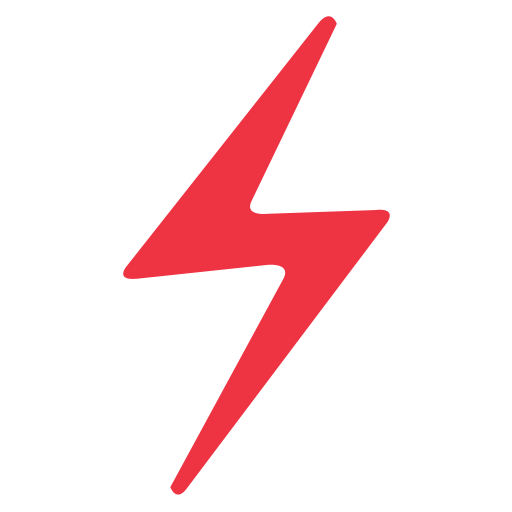 Today, Marisa is the Editorial Producer for Eyebeam’s new R&D Program for the Future of Journalism, a new pilot program that takes an artist-led approach to fighting misinformation and fake news. The program is funded in part by Craig Newmark Philanthropies and implemented in partnership with The Brown Institute at the Columbia School of Journalism. Linda Sarsour is a Palestinian-American community activist, born and raised in Brooklyn, NY. She is currently working as the Advocacy and Civic Engagement Coordinator for the National Network for Arab American Communities and ACCESS and locally serving as the Executive Director of the Arab American Association of New York, a social service agency serving the Arab community in NYC. Sarsour was a 2005 COROS New American Leaders fellow, 2009 graduate of the American Muslim Civic Leadership Institute housed at USC, named Extraordinary Woman by Brooklyn District Attorney Charles Hynes and received the 2010 Brooklyn Do-Gooder Award from the Brooklyn Community Foundation. Sarsour is also a board member of the New York Immigration Coalition, a coalition of over 250 nonprofit agencies serving the diverse immigrant communities of New York State. In the 2008 elections, Sarsour coordinated the largest and most successful get out the vote effort in the Arab American community in Brooklyn, with over 130 canvassers and 8000 doors knocked. She has been featured in local, national, and international media speaking on topics ranging from women’s issues, Islam, domestic policy and political discussions on the Middle East conflict. In 2017, she worked as co-chair and organizer of the Women’s March. On January 30, 2003 Aaron was pulled out of the University of Illinois and called to active duty with the 1244th Transportation Company Army National Guard out of North Riverside, Illinois. On April 17, 2003 his Company was deployed to Kuwait under Operation Iraqi Freedom. There he supported combat operations by transporting supplies from camps and ports in Kuwait to camps in Iraq. After three extensions, totaling one year, three months and seven days, Aaron’s Company was redeployed to home base in North Riverside Illinois on July 24, 2004. Aaron returned to the University of Illinois in the spring of 2005 as a student majoring in painting with the need to express and share his experiences with others and began to use art as a tool to confront issues of militarism and occupation. Aaron went on to receive an MFA in Art Theory and Practice from Northwestern University in 2009. Today Aaron is the Organizing Team Leader for Iraq Veterans Against the War where he has worked on such projects as Warrior Writers, Combat Paper, Drawing For Peace, Operation First Casualty, Winter Soldier, the Demilitarized University, the Field Organizing Program, and Operation Recovery. Beka is the co-founder and director of “Not An Alternative,” a Brooklyn-based non-profit organization whose mission aims to integrate art, activism, technology and theory in order to affect popular understandings of events, symbols and history. She operates No-Space, a multipurpose venue in Williamsburg, Brooklyn where free artist talks, workshops, panels, film screenings, and trainings occur. She is also the Senior Strategist and VP at Fission Strategy, a boutique consulting firm. She helps non-profits and foundations leverage social media for social good. Sergio Muñoz Sarmiento’s is an artist, writer, teacher, and lawyer interested in the analysis of property and structures, in both tangible and intangible forms, through legal and cultural discourses and practices. He received his BA in Art from the University of Texas-El Paso, an MFA in Art from the California Institute of the Arts, and was a Van Lier Fellow at the Whitney Museum of American Art’s Independent Study Program in Studio Art in 1997. Under the auspice of a conceptual art project, he received his J.D. from Cornell Law School in 2006. Sarmiento founded the The Art & Law Program in 2010 and teaches contemporary art and law at Fordham Law School. Keri Smith is a Canadian conceptual artist and author of several bestselling books and apps about creativity including Wreck This Journal (Penguin), This is Not a Book (Penguin), How to be an Explorer of the World -the Portable Life/Art Museum,(Penguin), Mess: A Manual of Accidents and Mistakes (Penguin), The Guerrilla Art Kit (Princeton Architectural Press), Finish This Book (Penguin), and The Pocket Scavenger (Penguin). Jacques Servin / Andy Bichlbaum is a co-founder of the Yes Men, a group that has accomplished numerous high-profile media interventions serving to highlight environmental, economic and social injustices and the systemic problems that lead to them. At the Hemispheric Institute, Jacques / Andy heads the Yes Lab, which helps students and others carry out media interventions. Rev. Michael Ellick is currently the Minister of the First Congregational Church of Portland. Raised in a Conservative Baptist church in Washington State, Ellick studied Comparative Religion and Philosophy at the University of Washington before earning his M.Div. at Union Theological Seminary in the year 2000. There he grew frustrated with contemporary theological thinking, and looking for new ways to understand the Gospel, and real world practices for embodying it, he studied closely under a Tibetan Buddhist teacher for the next seven years. Over the course of his life, he has also worked as a courier, a fast-food cook, a fact-checker, a fresh juice delivery person, a copy-editor, an event planner, a barista, a financial analyst, an internet help desk, a community organizer, and even as an assistant at a Marine Biology lab. Ellick was ordained for Ministry in 2008, and so far has held on to the job. Andrew Boyd is an author, humorist and veteran of creative campaigns for social change. He led the decade-long satirical media campaign “Billionaires for Bush.” He co-founded Agit-Pop Communications, an award-winning “subvertising” agency, as well as the netroots social justice movement The Other 98%. He’s the author of three books: Beautiful Trouble, Daily Afflictions and Life’s Little Deconstruction Book. Unable to come up with with his own lifelong ambition, he’s been cribbing from Milan Kundera: “to unite the utmost seriousness of question with the utmost lightness of form.” You can find him at andrewboyd.com. Marlène Ramírez-Cancio is Associate Director, Arts & Media, at the Hemispheric Institute of Performance and Politics. Housed at NYU, Hemi connects artists, scholars, and activists from across the Americas and creates new avenues for inquiry, collaboration, and action. Focusing on social justice, we research politically engaged performance and amplify it through gatherings, courses, publications, and archives. Marlène is also co-founder and co-director of Fulana, a Latina satire collective a Latina satire collective that whose videos have been shown internationally at film festivals, museums, and universities, and whose members lead satire and parody workshops for emerging artists. Phineas Baxandall is an activist and former academic who has spent years thinking about how to explain denseeconomic and policy issues in accessible ways. He spent eight years as a teaching fellow in political economy and political philosophy at Harvard’s undergraduate honors program in Social Studies, and three years working at Harvard’s Kennedy School for the Taubman Center for State and Local Government, where he conducted research, translated others’ arcane academic studies into accessible research briefs, served on a government study of local aid, and worked with mayors to improve services for their constituents. Since 2006, Baxandall has directed advocacy programs on tax and budget issues and transportation for the national network of Public Interest Research Groups. His recent campaigns include: preventing companies that commit misdeeds from using their out-of-court settlements as a tax deduction, increasing transparency of public subsidies to corporations, closing loopholes that allow offshore tax dodges, and promoting investment in public transportation. Baxandall received his doctorate in Political Science from MIT. Salette is a transatlantican arts manager with a focus on contemporary artists working in hybrid and indeterminate forms including Live Art, interdisciplinary and social practices. She was recently Head of Arts for the British Council USA based in NYC where she built out a multi-disciplinary program supporting over 200 artists and developed public programming, a Culture & Conflict initiative, cross-border projects with Canada, and a US/UK Arts & Social Practice Fellowship. She previously was appointed at Arts Council England as the designated officer working across Visual Arts, Theatre, Dance and Combined Arts to support artists and curators creating work including live installation, creative re-enactment and arts activism (such as Platform, and John Jordan’s Laboratory for Insurrectionary Imagination). She also managed the first all female aerial dance theatre company in London, worked in the public funding programs for the arts in San Francisco and Los Angeles, and in several artist-led venues including Highways Performance Space in LA where she worked with the founders in the formative years of this influential venue during the US culture wars of the early 1990’s.